This isn’t really an authentic version of daal since I substituted coconut oil for ghee, but I don’t think I’ll ever make it another way. The creamy coconut oil is what made it, in my opinion. As I may have mentioned in other posts, I don’t particularly like legumes but I’m a huge fan of them for their health benefits. I try to cook vegetarian for my family a few times a week just to make sure we are getting in a regular dose of legumes and to give us a cleansing, fibrous meal once in a while in place of the meat and potato dinners we would prefer. 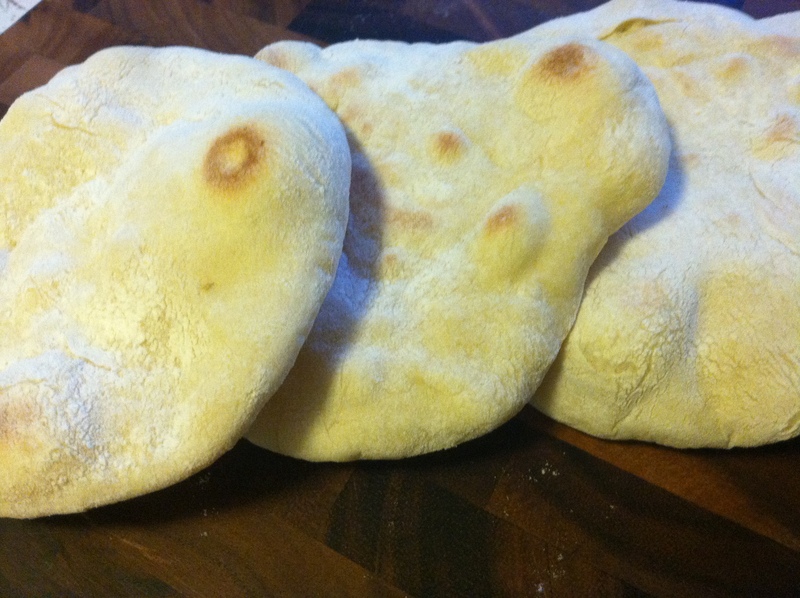 I usually use whole wheat flour in my bread baking, opting to make whole wheat tortillas and pita, or sandwich bread and rolls grainy and nutritious for my family, but since it was my first time making naan I decided to use white flour to experience the full effect of trying it freshly made in its authentic form. The soft, round, light “loaves” were so great for scooping up the moist daal. It’s been ages since I have made a big batch of ghee for cooking with and it would have been nice to have on hand for this dinner. Melted butter worked just fine as a last minute substitute when I decided on the spur of the moment to make an Indian meal that night. 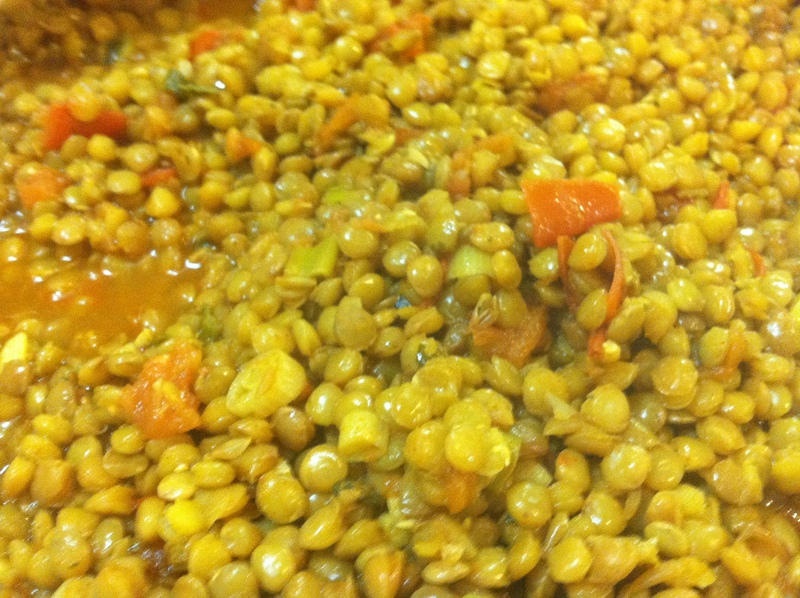 The best thing about this meal was that the lentils only took around 40 minutes to cook so, with the exception of the dough rising time, dinner was on the table in under an hour. On second thought, the best part of this meal may have been the fact that there were so many little containers of leftovers to put in the freezer for other meals. No wait…It had to be the leftover floppy bread circles smeared with pomegranate jelly the next morning to accompany our scrambled eggs. I also like the fact that it made an enormous meal for very little money. Does this frugal farmer’s heart good to pull off a cheap, simple and delicious meal. 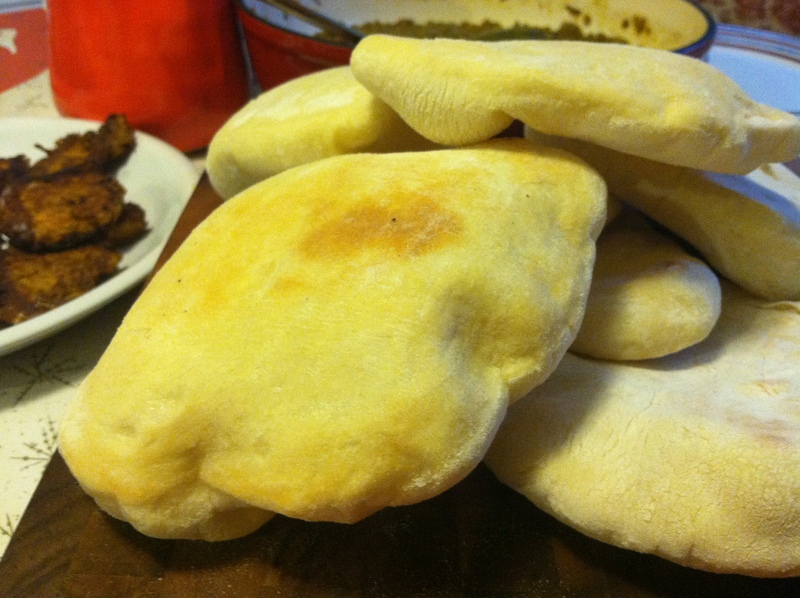 I can imagine that naan would make great mini pizzas, so next time I am making a double or triple batch for freezing. Saute the onions in garlic in coconut oil over medium heat. 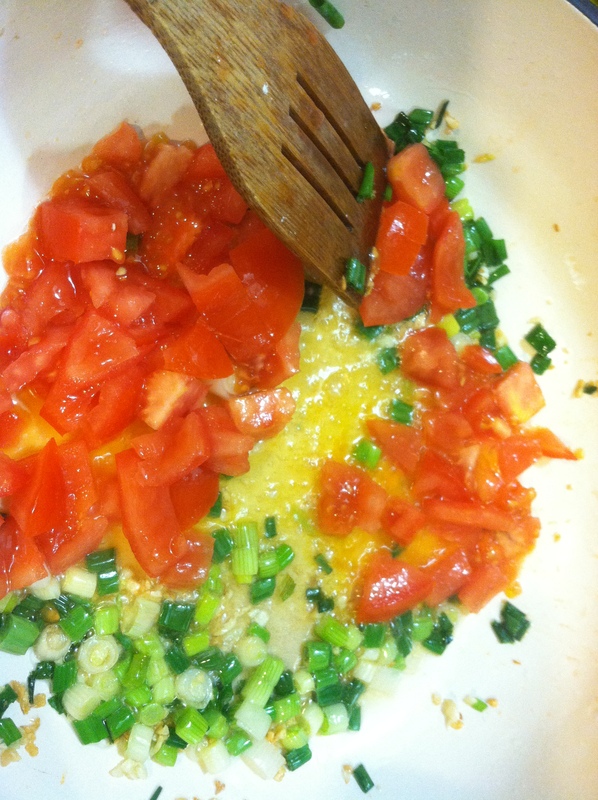 Toss in the tomatoes and saute. 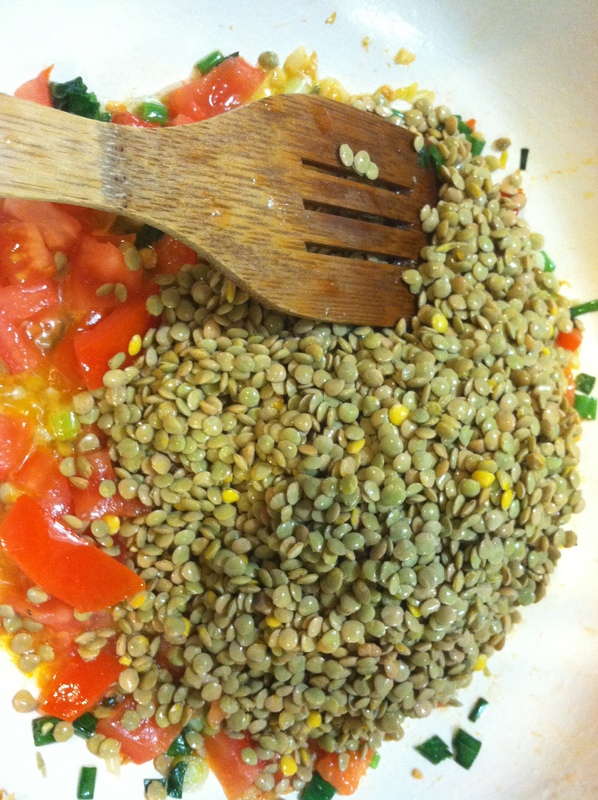 Add in the lentils, spices, salt, and water. Simmer, covered, for 40 minutes or so, until tender and the liquid is absorbed. Sprinkle the yeast over the warm water, approximately 108 degrees F. Allow the yeast to dissolve into the water for 5 minutes or so. In a large mixing bowl, sift together 2 cups of the flour and the salt. Stir the yeast mixture into the flour mixture until combined well. Mix in the melted butter and yogurt. Stir or knead in 2 more cups of flour. Knead until smooth and elastic on a floured surface. Cover and let rise one hour. Roll the risen dough on a floured surface into a log. Cut the log into equal portions. 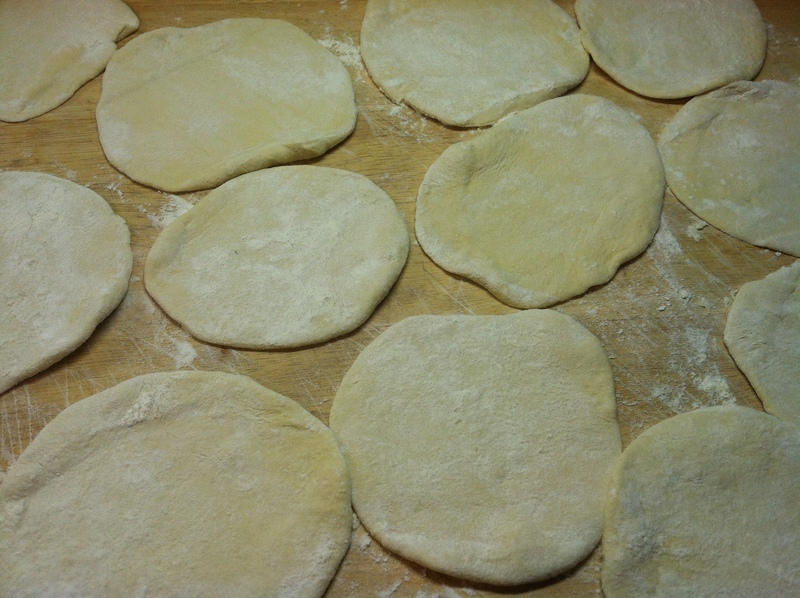 Roll each portion into a circle. 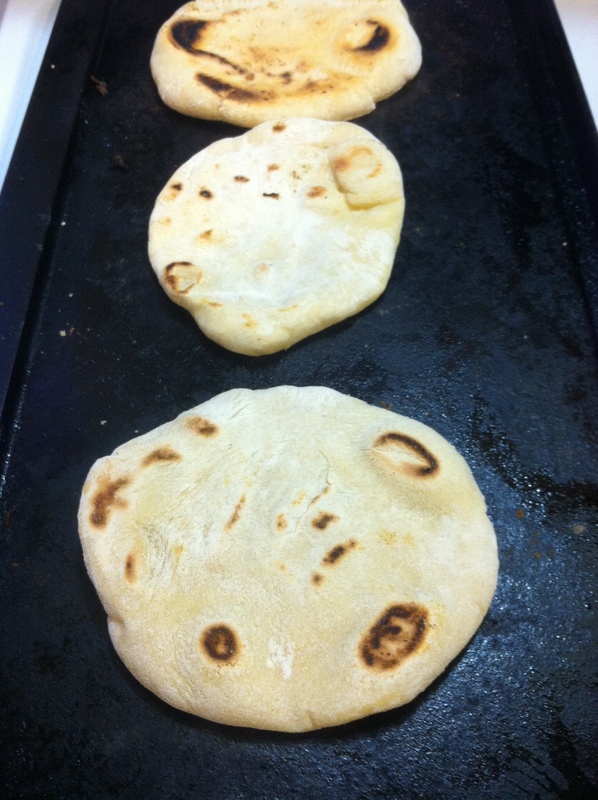 I made some in the oven at 350 on a hot baking stone and some on my griddle the way I make pita and tortillas. 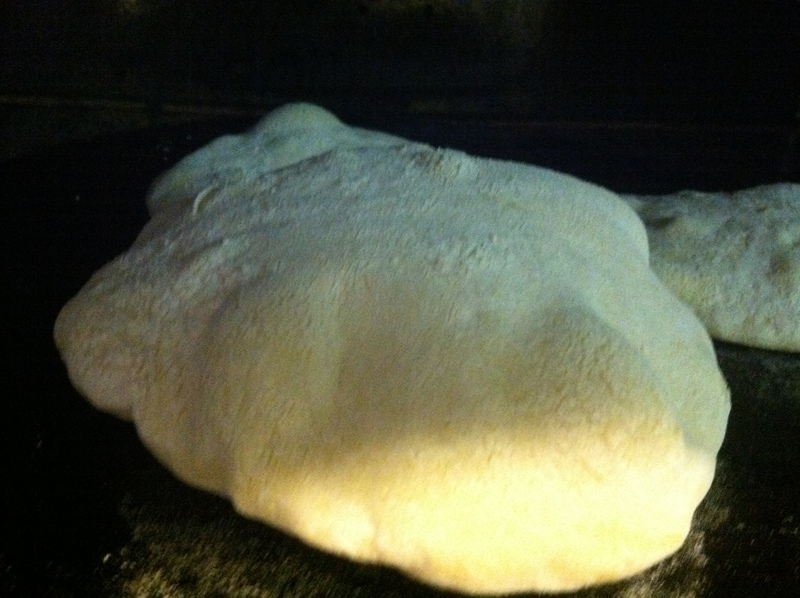 The ones made on the griddle had the more authentic naan browning that I was looking for. Both puffed immediately and were light and airy. I did forget to time them, however, just kept an eye on them. It happens pretty quickly and in no time I had a nice pile of cooked bread. They puff much faster than pita, because of the yogurt, I am assuming. Makes about a dozen rounds. Were they done on your phone? Yes, thank you. I think the silly thing takes better pics. than my last two cameras did.